It took exactly one day for the college basketball world to be turned on its head last Friday, as top-10 teams are already being upset, and thrilling performances are already being put forth. It’s going to be a fun season. Duke is No. 1, and the defending champion Wildcats move up to the No. 2 spot after Kansas’ loss. But I’m really, really big on Indiana. I ranked the Hoosiers higher than most people last week at No. 7, and they showed why they’re so good in Friday’s upset of Kansas. The Hoosiers can absolutely shoot the lights out (they made 15 threes against the Jayhawks), but their ability to guard the perimeter was what stood out to me. Pay no attention to the 99 points allowed – Indiana can guard, and when you combine on-ball defense with those lethal shooters, you’re looking at a legitimate top-five team. Oregon checks in at No. 4 after an underwhelming season-opening win against Army, and Kansas slides three spots after its Indiana loss. Some Jayhawk fans are worried about the prospect of starting 0-2 with a date with No. 1 Duke looming, but look at the schedule after that. Kansas will likely win its next 13 games following the Duke tilt, so fans shouldn’t be concerned about that. What they should be concerned about is the rebounding of Carlton Bragg, who was bullied against Indiana and fouled out in 18 minutes. If he can’t rebound better, Kansas is going to have major problems with big teams, but those guards are so, so good. Indiana’s win was very impressive, but I think the Wildcats of Arizona had the most gutty win on the season’s first weekend. They fell behind to Michigan State 17-4 before battling back and ultimately winning on a last-second lay-in. Arizona beat a top-15 team with just eight healthy scholarship players. As the Wildcats get healthier, they’re going to get much better, but their grit and poise was mighty impressive on Friday. Right before them is Wisconsin, the best team in the country that nobody is talking about. Virginia went on the road and handled UNC Greensboro, but they slide to No. 8 because of performances by other teams just behind them. As for Kentucky, the Wildcats looked sharp in their dismantling of Stephen F. Austin, but I’m intrigued to see how they do against Michigan State on Tuesday. I still have concerns about their frontcourt scoring enough. And North Carolina, another team that didn’t open with a home game, rounds out the top-10. Louisville and Purdue cruised to season-opening wins against cupcake opponents, but I really think that this could be Gonzaga’s year. The Zags are go balanced and deep that they’ll be able to wear down opponents over the course of games. St. Mary’s is No. 14, and just behind them is Xavier, which received a real scare from Lehigh, winning by just three points. The Musketeers aren’t completely healthy yet, but that was way closer than it should have been. I think the Mountaineers continue to be undervalued, but UCLA showed how impressive its offense can be in a 119-point outburst against Pacific. Steve Alford’s team reminds me of a poor man’s Indiana; the guards can shoot, but they can also play defense when needed. Michigan State is the biggest question mark in college basketball. The Spartans absolutely should have won Friday night against Arizona, especially after opening on a 17-4 run. Miles Bridges is fantastic, but the rest of the starting lineup combined for just 25 points. And things don’t exactly get any easier with a trip across the globe to play Kentucky on Tuesday. 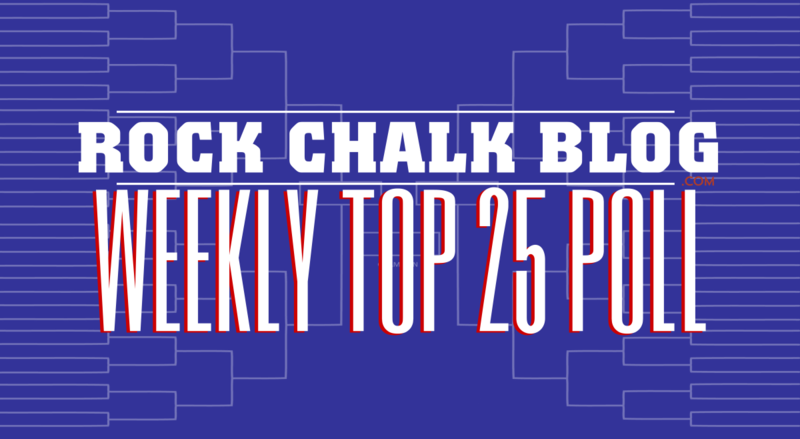 Cal and Syracuse, both of which are missing big pieces from their teams, round out the top-20. All of these teams won impressively, but at this point in the season, who honesty knows how good everyone is? I chose these squads to be ranked because they all have great guard play, but we’ve learned very little about each at this point in the year. Where did I get it right, and where did I get it wrong? Let me know on Twitter.